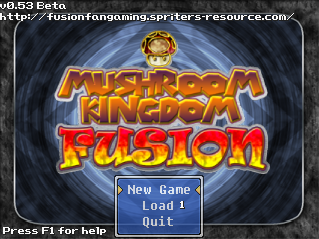 A short while back, we interviewed Feguelion, maker of the revived Mushroom Kingdom Fusion. It was an interesting conversation, with plenty of talk about the game’s future, how it worked and what sort of things were planned after it was completed. But now, we’ve gone and held a potentially even more interesting interview, with a different member of the development team. Namely, here’s Judge Spear, creator of the original Mushroom Kingdom Fusion as well as Super Mario Fusion Revival and the entire Fusion Gameworks website. So do you want to know what could have been different in Mushroom Kingdom Fusion, the indie game development plans of the team or the level design philosophy in Super Mario Fusion Revival? 1. So, can you tell us a bit about yourself? I am a longtime video gamer. I started being a Nintendo fan way back during the NES days and the first Super Mario Bros. Recently, I moved on from Nintendo, because their games do not appeal to me nearly as much as when I was younger, and I play games on the PlayStation 4 and PC. Outside of video games, I enjoy socializing, taking walks, riding bicycles, and watching Netflix. I have been programming since I was 8 years old. I never took that skill further than a hobby and beyond a barely intermediate level. I am now in a prestigious 4-year university studying for my degree in computer science, wanting to take that skill for programming into a career. I have a life story that will go beyond the scope of this interview. For the sake of brevity, I am a believer in the principle that it is never too late to turn your life around. The most noteworthy life accomplishment then was serving in the United States armed forces for 30 months. Other than that, life had been very rough on me, and it took me until very recently to realize I was taking out my life frustrations on the world. People who knew me during my M.U.G.E.N days before I started Mushroom Kingdom Fusion knew me as a hot-headed, combative person who was a jerk to pretty much everyone; this continued into my MKF days and into most of my SMF:R days. Off the internet, I basically sat around doing nothing with my life, feeling sorry for myself and almost resigning to the idea that I’ll never have a successful life. I had gone through several bouts of depression, the worst starting around the end of November 2013 that caused me to be hospitalized. Then the epiphany hit around late December 2014, when I realized I had so many deep flaws when, all the time before, I thought nothing was wrong with me and all fault lay on the rest of the world. Through a lot of hard work and perseverance, I changed each of my fatal flaws as I learned about them. I now feel drastically better about myself, more self-confident, and more self-aware. I got accepted to a prestigious university in Fall 2014, and even though I lacked focus before my epiphany, I refused to give up because I worked so hard to accomplish that goal only to fall flat on my face. Things are still tough for me because I had virtually no foundation growing up to help me out, but being out there facing life’s challenges instead of being protected and sheltered from them is making me stronger and making me grow even more as a person than ever before. It was difficult when I realized I needed to change and turn my life around, but it was only starting out that was the hardest part. The rest of life’s challenges will come with relative ease once I adapt to them. 2. What inspired you to make Mushroom Kingdom Fusion all those years ago? Back in 1992, I played Super Mario Land 2: The Six Golden Coins for the old brick Game Boy. I was impressed with the highly varied worlds and levels in that game. Its story differed in that there are no Peach and no Bowser in that game. Mario had his own kingdom and a new villain named Wario took it over. Then I started thinking, “What if someone were to remake SML2 in full color?” In the early 1990’s, game-making apps were almost non-existent, and those that did exist were for non-PC platforms, and the games they created were severely limited. I also lacked the level of skill and software needed to program a game on early 1990’s PC hardware from scratch. The only noteworthy game-making app for the PC at the time was Klik ‘n Play for Windows 3.1, which I got in 1994. It does not support screen scrolling, and the platforming engine is very inconsistent, so trying to make an “accurate” Super Mario game on it was more trouble than it was worth. Fast forward to the year 2000, when I had the next generation of application in the Klik ‘n Play family: Multimedia Fusion. It allowed screen scrolling and, with advanced manipulation, a decent platforming engine could be created. However, my attempt at making a Mario game fell flat, due to constant crashing and very limited NPC behavior control. Nevertheless, I created on Multimedia Fusion the prototype of what will become MKF was born as Super Mario MF (with MF standing for Multimedia Fusion). It had Mario, Luigi, Sonic, and Mickey Mouse as playable characters, and the worlds were planned to be varied. This prototype was never released to the public. Above: Super Mario MF, Mushroom Kingdom Fusion’s predecessor. 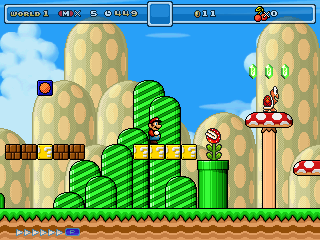 When I discovered Game Maker and Hello Engine 3, I had the tools to finally make a decent Mario game. On December 27, 2007, I released the first playable version of my Mario game, then titled Super Mario Fusion: Mushroom Kingdom Hearts. Once it became a big hit on the internet, people started asking if they can help me work on the game. One person, Obreck2, had extensive Game Maker experience and offered to help with programming. Over time, he added new playable characters, including some non-Mario and then other non-Nintendo characters like Arthur from Ghosts ‘n Goblins. It is because of Obreck’s addition of these characters that prompted me to change the name of the game to Mushroom Kingdom Fusion. What was supposed to have been a fan remake of SML2 became a game in which Mario and others visit other worlds. With the involvement of other people, that idea then transformed into what MKF is known for today: a massive nostalgia-driven crossover game. 3. You’ve worked with quite a few people who brought ideas to MKF. What things would you have fine differently in development? I would have been more firm in the direction of the game and more actively screened contributions by other people. There was no real leadership on the MKF team, so people did whatever they wanted, leading to the addition of new content going out of control. 4. What was the history of the game? What levels did you make first? See my response to question 2 for most of the history of the game. The levels I made for the first public version were: The Entryway, Storm Canyon, Hammer Bro Hideout, Lair of the Leviathan, Fort Bubble Man, Tower of Babel, and Covenant Assault. 5. MKF has quite a few playable characters. What ones are your favourite? My favorite character has always been Mario. It got to a point where in my YouTube MKF videos, people were complaining I was using no one else! It has been a while since I looked at MKF. However, from the time I was most active on MKF, my favorite levels are Birabuto Bash, Yellowstone Journey, and Sea of Muck. My favorite bosses are R-Type’s Gomander (a boss battle so big each phase takes place in two separate screens) and Calliope the Clown. Above: Birabuto Bash and Sea of Muck are two of Judge Spear’s favourite Mushroom Kingdom Fusion levels. 7. You knew this was coming; what are your least favourite levels or bosses? My least favorite levels, frankly, are any of those that MKF team member Del made. They are known to the MKF team and our community as some of the most difficult levels in MKF. In retrospect, it really felt as if he made those levels to troll the community and players, while he put up videos of him crushing those levels, further rubbing salt into the wounds. Above: Scandinavian Campaign is not a favourite. I really dislike the shoehorned-in “RUN sections” (fast autoscrolling sections) in a disturbingly high number of MKF levels. This is also a problem in Super Mario Fusion Revival (minus the fast autoscrolling). My least favorite boss is Robo-Corpse in the Energy Zone level. It is completely unfair towards non-projectile characters, with attack patterns straight out of its source game, Contra III, with almost no balance to fit a Mario style platforming game. Above: The Robo Corpse boss in this level is not well suited for a Mario style platformer. 8. And what lessons have you Learnt while making the game? I learned to never again let nostalgia drive another project unless I decide to make a game project nostalgia-driven in the first place. Even then, I have to think less like trying to relive my childhood and more like ensuring I am able to bring my ideas to life. I also learned to be sure I can work with the people I choose to work with on big projects. Personality clashes can get in the way of work. 9. Could the cancellation have been averted? How? In retrospect, the only way the game’s cancellation could have been averted is if we started all over again from scratch. I actually wanted to cancel MKF as early as 2010. However, the rest of the development team refused to let it go. I announced its cancellation again in October 2013, but the other developers brought it back with the premise of finishing up whatever is incomplete in the game and cutting out a majority of the unmade content (most significantly, most of World 0). We ended up adding so much new content to the game’s source files that Game Maker had corrupted them several times. At one point, a developer lost two weeks’ worth of work because Game Maker corrupted his game source. As stated in the MKF cancellation video posted on the Fusion Gameworks YouTube channel, none of the MKF developers knew where anything was in the game’s source files, so many long-standing glitches were impossible to fix. Most significantly, the core MKF programmer, Obreck, disappeared from public view in 2012, and he was the one who molded the MKF core engine to what it is today; without his presence, no one knew where anything was. By autumn 2014, it was too late to fix seven years’ worth of content from 20 different people, and the decision was made to officially cancel the project. 10. So now that the game has been revived, what’s your involvement in the reboot? I was generally a technical advisor for the MKF revival. I had provided Feguelion some advice during the times early on he was being too ambitious, repeating the same mistakes the old MKF team made. However, I had to step down from that role due to being busy with life obligations. 11. Enough about MKF for a while, so what’s the story behind Super Mario Fusion Revival? Super Mario Fusion Revival was founded to revive the original 2007 Mushroom Kingdom Hearts premise of Mario visiting other worlds. I founded this project in 2010, shortly after I left the MKF project. Interestingly, this project was to have been an extension of MKF, taking in levels that could not get added to MKF itself. However, this idea was quickly dropped, and we decided to make the gameplay more Mario-focused. At one point SMF:R had guns like MKF, but that was dropped once we decided to make the mounts system the primary new gameplay mechanic. Most importantly, we decided to limit crossover content in SMF:R. All but a handful of SMF:R levels are completely original in setting. Enemies from other games may appear in those levels, but they are used in original contexts. There are cameo appearances of characters from other games serving as support to the game’s story, unlike MKF, which shoehorned in crossover content for the sake of nostalgia. For example, the Metal Slug characters support the events of World 2’s story arc, which will factor in to the story arc of World 6 much later on. They are not there to be “Metal Slug meets Mario”. One phenomenon we observe still continuing to this day is people confusing SMF:R for MKF. When we explain that these are two distinct projects, SMF:R sometimes gets criticized for not being like MKF and often gets requests to add in nostalgic crossover content. We have to make it clear that Super Mario Fusion Revival focuses on Mario-style gameplay and it involves Mario characters visiting other worlds, not a heavy focus on crossover content. 12. Were there any interesting development challenges with this game? Bringing Yoshi to life. In Hello Engine 4, Yoshi was crudely implemented. He could eat anything, including Thwomps and Chargin’ Chucks. I spent a good month’s time giving Yoshi a major upgrade to his gameplay, giving him the ability to spit enemy projectiles back as an attack (New Super Mario Bros. Wii) and using explosives as weapons (Super Mario 64 DS). Not only that, I completely resprited him to the more charming Yoshi’s Island sprites and coded a color-shifting routine for him so that we can have Yoshis of any color without adding new sprites to the game. Revamping Yoshi also allowed us to have a good mounts system, which served as the basis for future mounts such as the Metal Slug SV-001 tank and the Chocobo. Above: The mounts system is a major part of Super Mario Fusion Revival. 13. The graphics in the game are seen as one of the best things about it. Where do you get them from? Many of the graphics are from obscure arcade games: P-47 Aces, Outfoxies, Raiden Fighters, and Viper Phase 1 to name a few. I will not be surprised if most people never heard of those games. However, those games have some of the best 2-D backgrounds out there, usually in a much higher quality than those found in Super NES games. Above: P-47 Aces is an example of a game whose graphics are used in Super Mario Fusion Revivial. 14. Are there any levels in the game you’re especially proud of? What are they? SMF:R has a talented group of people designing levels for it, both official team members and public contributors from our community. The ones I am most proud of are: Tree Zone, Derelict Derrick, Alien Mine, Bowser’s Keep, Chocobo River, Jugemu Junction, Adirondack Parkway, and Bedeviled Edifice. 15. So, the story in SMFR… What is it exactly? The storyline of SMF:R is similar to MKF’s storyline. It involves eight MacGuffin items, the Orbs of Power, as well as an evil entity having something to do with those orbs’ involvement in the storyline. This is such a threat not only to the Mushroom Kingdom, but all involved universes, so Bowser is forced to team up with Mario and company in order to combat this looming threat. 16. Are there any interesting things you cut from the game in development, like levels? So far, the only thing of real interest that was cut from SMF:R was the guns, as mentioned earlier. The reason for this was because we decided to make the mounts system be the primary new game mechanic that gives all playable characters new abilities (increased firepower, higher run speed, flight and slowfall, etc.) and MKF had guns as its primary new mechanic already. We had to reject two of Gladiacloud’s levels, since they were taken directly from other games with no regard as to what world he designed them for. These two levels are from a Dizzy game and from a Rayman game, and Gladiacloud designed them as World 5 levels; World 5 is SMF:R’s RPG fantasy themed world, and neither of those levels fit that world’s aesthetic. 17. Super Mario Fusion Revival’s soundtrack is a lot more dramatic than most, with songs from Ragnarok Online and Raiden instead of Mario games. Why was such a dramatic soundtrack chosen? We made the decision to use a modern and dramatic soundtrack for Super Mario Fusion Revival as a departure from the tendency for Mario fangames to overuse the same overly jaunty Super Mario Bros. music. Our soundtrack is like that of the official Mario games, in that a small pool of music tracks is reused in multiple levels. We needed music that was neutral and can be used in all our varied worlds, from The Mushroom Kingdom, to the real-life Earth, to an RPG fantasy world, and to a sci-fi world. The music from the 2002 Korean MMORPG Ragnarok Online had music that fit that criteria, having widely varying styles of modern dramatic music that is neutral. This is why we selected music from Ragnarok Online for Super Mario Fusion Revival. Above: Music like the boss theme from Raiden 3 is dramatic for a Mario game, but suits the tone of Super Mario Fusion Revival. Recently, however, we have started adding in some new World specific level music tracks to SMF:R’s soundtrack. We added two new World 5 level music tracks from Pokémon Mystery Dungeon: Gates to Infinity due to their Gaelic/Celtic composition style, which fits World 5’s RPG fantasy theme. We even added in two new exclusive tracks for World 1, both from Pokémon Shuffle. The music from that game fits World 1’s colorful atmosphere without us resorting to using actual Mario music. The only Mario music we use are two different arrangements of the SMB underground theme, the World 1 map music, and the various auxiliary music themes (Starman, level clear, boss clear). We understand that not everyone likes our decision to use a modern serious soundtrack for SMF:R. However, we made this decision for us to be different from other Mario fangames. 18. For the most part, levels in SMFR seem well designed. But are there any levels or bosses you’re not that happy with? Recently, I became disillusioned with the inconsistent difficulty curve in a great majority of SMF:R’s levels. Analyzing old YouTube videos of SMF:R levels and various Let’s Plays of our levels made me realize that we have the tendency to cram too many enemies in our levels, slowing down player progression to the point of frustration. The high enemy count makes having a Yoshi or a Chocobo more of a risk than a boon to gameplay, given how easily it is for less skilled players to lose those valuable mounts. I already started designing my most recent levels with a difficulty curve in mind, especially if a level introduces a new gameplay mechanic. An example is the second level of World 5, Chocobo River. This level allows players to practice using the different Chocobo abilities with minimal enemy interruption. Above: World 5 level 1 and 2 were redesigned to be less claustraphobic and more fun to play. Another aspect of SMF:R levels in general that I grew to dislike is, like MKF, we have too many autoscroll levels and levels with autoscroll sections. I plan to propose to the SMF:R team to redesign a select group of autoscroll levels to normal platforming levels. I really do not have any specific SMF:R bosses that I am unhappy with. For the most part, they are all well-designed. However, there are a few bosses in the game that have the problem of too many hitpoints. The boss fight at the end of World 1 against Bowser is a prime offender in this category. You have to deal 6 hits on each of his forms using Yoshi to help you out. However, losing Yoshi causes Bowser to disrupt your fight by tossing him out of reach temporarily in his adult form, or hijacking him in his baby form, being unable to deal damage to Bowser in either of those cases. This really draws out an already long fight to begin with, since you need 12 total hits on Bowser to defeat him. 19. How do you come up with a level for MKF or SMFR? What’s your creative process here? The first thing I decide upon is what environment I want my level to take place in. Do I want a grassy hill level (World 1-1: The Entryway), a level in a giant monster (Lair of the Leviathan), or in the ocean (Derelict Derrick)? Then I decide the kind of experience I want to give the player from a gameplay standpoint. Do I want to encourage exploration (World 1-12: The Crossroads), platforming skills (World 1-2: The Transitway), or avoiding aggressive enemies (Derelict Derrick)? Nowadays, I use setpieces and antepieces to “train” the player to take on more difficult challenges as they progress through the level. I will go back and redesign many of the older levels to conform to this design paradigm. 20. Why did you design the overworlds like they are in Mario Fusion Revival? What led the graphics, music and design choice? One aspect of not only SMF:R, but MKF as well, that many of our fans point out is the fact we have two dark and dreary worlds in the games (Ocean of Oblivion and Di Yu in SMF:R, Demon Realm and Gehenna in MKF). From the beginning of MKF, I planned on there being a Hellish world, and a limbo world that is between the physical plane and the metaphysical plane of existence. For each of those two worlds, we sought out dark and dreary environments, wastelands, and forlorn and dreary overworld music to set the environment. These two worlds signify how the big bad villain in each world had tampered with the fabric of reality to the point that dimensional tears occurred leading to Hell and the realm between it and others (AKA purgatory, called Ocean of Oblivion in SMF:R and Gehenna in MKF). For the RPG fantasy world, I considered giving it a mostly medieval fantasy theme, and Scottish, Gaelic, and Celtic music seemed to fit in best for this type of environment. As for graphics, I looked through even obscure arcade games for appropriate background graphics for majestic rolling hills and towering castles. 21. So, what non Fusion Gameworks fan games are you interested in and why? This includes hacks and mods as well. Most of the ones I have played are on the Mario Fan Games Galaxy. Of note, I have played the Normal Super Mario Bros. series, Psycho Waluigi, Super Mario Prostrate Exam, and Highway Trouble. Non MFGG fangames I have played include Redigit’s Super Mario Bros. X, the old SMB1/Castlevania crossover Super Mario XP, Super Mario Bros. Crossover, PokéMMO, and Raiden X. 22. A while back, you said Fusion Gameworks would make indie games as some point. Can you tell us a bit more about that? Hopefully once Capn Coconuts and I get enough funding, we can obtain equipment and software to help us create our own games, preferably outside the Game Maker environment. At this point, it is still a passing interest, as both of us are quite preoccupied with real life obligations. 23. And for that matter, what’s next after SMFR? Do you plan on making more fan games? I put aside my other shmup fangame Xeno Fighters R due to it suffering the same problems that MKF had. Since that game is essentially done, I may fix the sound issues in Windows 8 that will cause it to crash and release that game as finished, updating it as necessary. 24. How come the old content from the old Fusion Gameworks sites isn’t archived anywhere? If you are referring to our site as far back as the IPBFree days, there is an unfortunate story behind that iteration of our site. Our first major host was IPBFree, back when only MKF was our project. Our site on IPBFree was by far the most popular out of all our sites. Suddenly, and without warning, on July 2010, IPBFree just shut down, and all their social media presences (Twitter, Facebook) disappeared with it. We later learned that IPBFree was shut down due to legal reasons, and they gave no warning to all IPBFree users that they were shut down. No one was able to retrieve their forum content. We lost a great deal of content in the IPBFree shutdown, including some excellent fanmade submissions for MKF. The worst part about the IPBFree shutdown is that many of our fans thought we died along with it, and none of our future sites ever had the level of popularity we had on IPBFree. Our next location was Zetaboards. Over time, we decided to move from Zetaboards to an actual host, so we moved to The Spriters Resource. An incident occurred in early 2013 that caused us to lock Zetaboards up indefinitely, so we were forced to start from scratch on Spriters Resource. We were able to finally buy our own hosting solution, so once that happened, we became Fusion Gameworks. Luckily, we were able to move our forum database to our current server from The Spriters Resource. 25. What games do you play outside of the fan game world? Do you still play the modern Mario titles? I have pretty much outgrown Nintendo’s offerings now, meaning to say that Nintendo’s games no longer appeal to me. The last Mario title I owned was New Super Mario Bros. for the Nintendo DS. I have moved to gaming on the PS4 and the PC. I play games like Bloodborne, Dynasty Warriors, Terraria, Diablo, StarCraft, and Grand Theft Auto, and MineCraft. I am known heavily for my obsession of shmups (shoot ‘em up video games, examples include Raiden, Gradius, R-Type, and Resogun) during my M.U.G.E.N days and my MKF days. My obsession with them factored in on the design aspects of MKF (bullet hell bosses and shoehorned in shmups references in the now infamous King Watinga) and some of the music choices in SMF:R (the boss theme and the airship theme). I actually lost interest in shmups as a whole a while ago. The genre has been stagnant for nearly 20 years, and I have moved on to playing strategy and sandbox games. 26. You haven’t been seen on MFGG for a while now, will you ever return there? I have not had anything of interest to contribute to the MFGG community lately, so it is uncertain if and when I will return there. 27. So, MegaMan Day in the Limelight… What’s the progress for the third game? The main developer of the Mega Man: Day in the Limelight series is Riverroad. 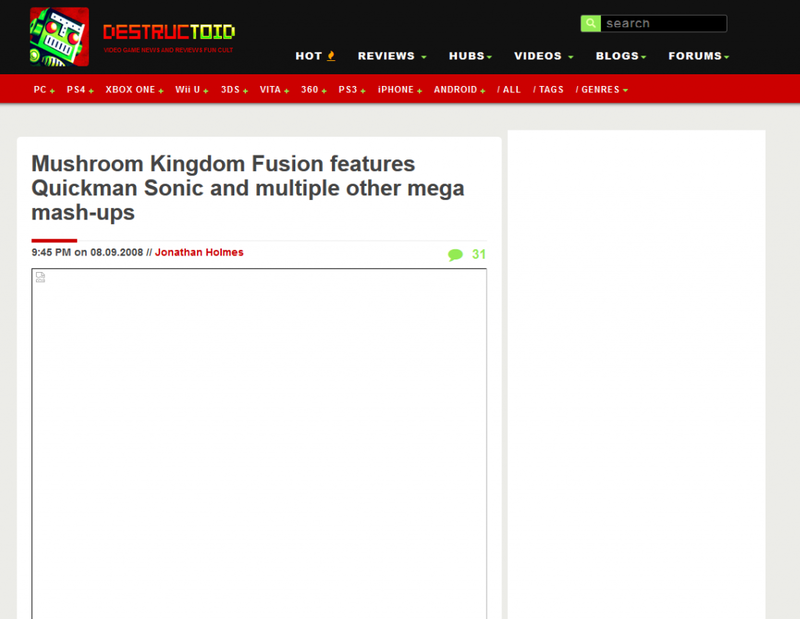 Unfortunately we lost contact with him nearly a year ago as of this interview, and the rest of us at Fusion Gameworks know neither his whereabouts nor the status of the third game. We are just as much in the dark concerning this as the general public is. 28. What other sites do you visit in general? Fan game sites? Sites about shmups? On the video game side, I visit sites like GameFAQs, and, when I used to be interested in it, Smashboards. As noted earlier, I gave up on shmups as a whole, and quit the shmups.com community along with it. Non video game sites I like to visit regularly include Cracked, ESPN, 9gag, and of course YouTube. 29. Did you ever see your work becoming as popular as it is today? Honestly, I never thought what would become MKF would become so popular. It came as a big surprise to me because, at the time, I was still running a M.U.G.E.N forum and I posted the first release of the game in that forum. Later on, people were replaying to my release post saying that sites like Kotaku and Destructoid were talking about the game. I was awestruck. 30. Finally, what advice would you give other fan game developers in the future? Start small. Do not try to build a massive project as your first project. When working in a team, be sure that you all communicate well with one another. Also, learn to grow thick skin. While it is sometimes necessary to stand up to people who constantly hound you over your design choices, doing so to everyone will damage your reputation and your public image. This is a lesson I had to learn the hard way, unfortunately. At the time of MKF’s peak popularity, I did not know how to handle that kind of public exposure, so all I did was argue against people criticizing MKF and ignore the good things people were saying about it. It got to a point where people were denouncing me as angry and egotistical. Learn to take criticism. However, if you can sufficiently defend a design direction you chose (in the case of SMF:R, some people criticize our decision to use a modern and dramatic soundtrack), even when it is constructively criticized, then do so. In the end, understand that you cannot please everyone, but as long as you are making a majority of people happy, and they consistently give you good feedback about your design direction, that is what should matter in the end. Thanks to Judge Spear for agreeing to be interviewed, and thanks to the Fusion Team for their great work on Mushroom Kingdom Fusion, Super Mario Fusion Revival and Mushroom Kingdom Fusion Revival. You can download their games via their official website.